Xiaomi is all set to launch a new series of Smartphone with a Dual Rear camera which looks like iPhone 7 Plus from Rear. According to the report, this won't be Redmi or Mi Series phone. It will be powered by Qualcomm Snapdragon 660 Processor No more details have been leaked yet. Xiaomi X1 which includes a full-screen design version and a regular screen edition. The first variant has a 5.5-inch Pegasus display with a full-screen design. It will deliver a screen resolution of 2,160 x 1,080 pixels powered by Snapdragon 660 chipset rumored to come with IMX362 or IMX386 Dual Rear camera. Redmi Note 5A would be coming with a 5.5-inch full HD screen that is equipped with FT5435 FocalTech touchscreen controller. powered by Snapdragon 625 MSM8953 processor with 4 GB of RAM and an internal storage of 64 GB.The dual camera system is expected to include a wide-angle OV12A10 sensor and an OV13880 sensor from OmniVision. The front-facing camera of the Redmi Note 5A is equipped with a Samsung S5K5E8 sensor. The rear side of the purported Redmi Note 5A is speculated to feature an FPC1020 fingerprint scanner. Xiaomi Redmi Note 5 will sport a fingerprint scanner below the display, It will feature a 5.5-inch Full HD (1920 x 1080) display powered by Qualcomm Snapdragon 630/660 processor It will have 3GB and 4GB RAM variants. 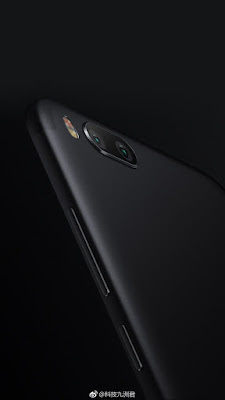 The 3GB RAM model will ship with 32GB of storage and 4GB RAM variant will be available in both 32GB and 64GB storage.On Camera, it is expected to come with a 16-megapixel rear camera and 13megapixel front facing camera. Dual SIM Phone will be running on MIUI 9 based on Android Nougat.Xiaomi Redmi Note 5 rumored to have 3,790mAh non-removable battery. Xiaomi is expected to launch new Phone with 6GB RAM and 4000mAh battery on July 11.